In marriage couples can try to follow his model by loving each other in a self-sacrificial way, putting each other’s needs first. In this parish we delight in couples who get married. If you are exploring this as a possibility, please do not hesitate to get in touch with the Vicar, as early as possible in your planning, so we can advise you of how you can fulfil the legal requirements. You will be assured of a warm welcome and we will do everything we can to ensure that your day is very special. There are many ways in which you can personalise your service, ranging from the music to readings and who you would like involved. The Vicar will work closely with you to plan your day. Click here to make contact. Take a look here for more about getting married in the Church of England. There is lots of help and ideas for planning your wedding in a Church of England church. We will look at these in more detail with you when you make contact, as there is nearly always a way to get married in a church. Take a look here for more general advice, but always make sure you speak to the Vicar. The usual route to marriage in the Church of England is to have your banns called, but sometime a licence may be required. Don't worry we will guide you through this process. Banns of Marriage are announcements made in the parish where you live and where you are getting married. We will help you fulfil all the legal requirements. We offer advice and help to ensure your day is special, and the Vicar will work with you to ensure that everything is ready for the service and it is designed just for you. 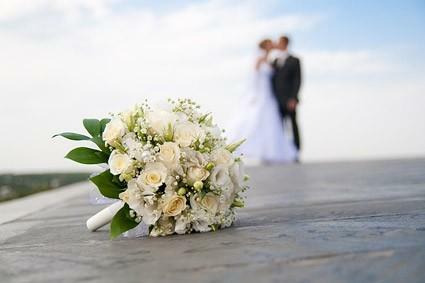 We encourage you to attend a Marriage Preparation day, check the legalities including banns and complete paperwork, plan your special ceremony and even have a rehearsal so you no what is going to happen on the day and you get the chance to practice your lines - don't worry you don't have to memorise them!